In Today’s Post I am going to share my wonderful experience of being a part of J&J Blogger’s Meet in association with Mycity4kids.Com . 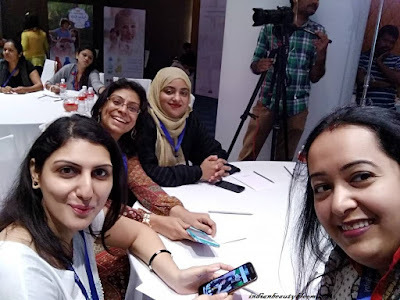 Last week I got a call from the team of Mycity4kids that they are going to organize a Blogger’s Meet at Hitech City in Hyderabad on 16th May . When I got their invitation I was super excited and immediately said Yes to be a part of the meet . Rest of the details were sent by mail . 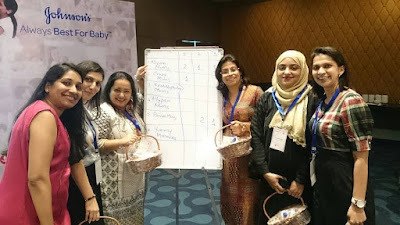 Mycity4kids is an Indian parenting site where one can read some useful articles on parenting topics from Mommy blogger’s and Pediatricians & experts . I am a member of this site past 2 years , so know some people from their team . Since this was my first Blogger’s Meet I was Super Excited . The meet was scheduled at 10 AM – 1 PM at Hotel Avasa at Hitech City,Hyderabad. Then Met Shavet Jain & Ankita Chuodary , Editorial members of mycity4kid team , whom I know but haven’t met before . 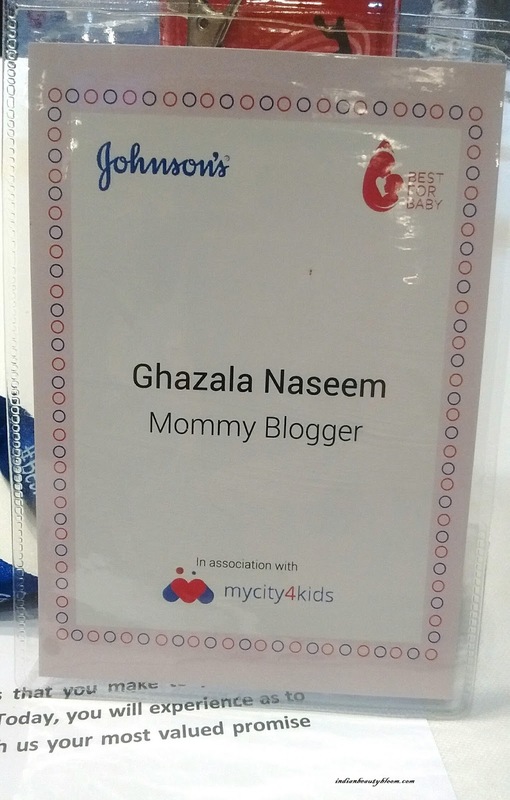 There were around 27 Mommy bloggers and some members of Mycity4kids team , Some from Johnson & Johnson Team ( Since this event was organized & sponsored by J&J ). 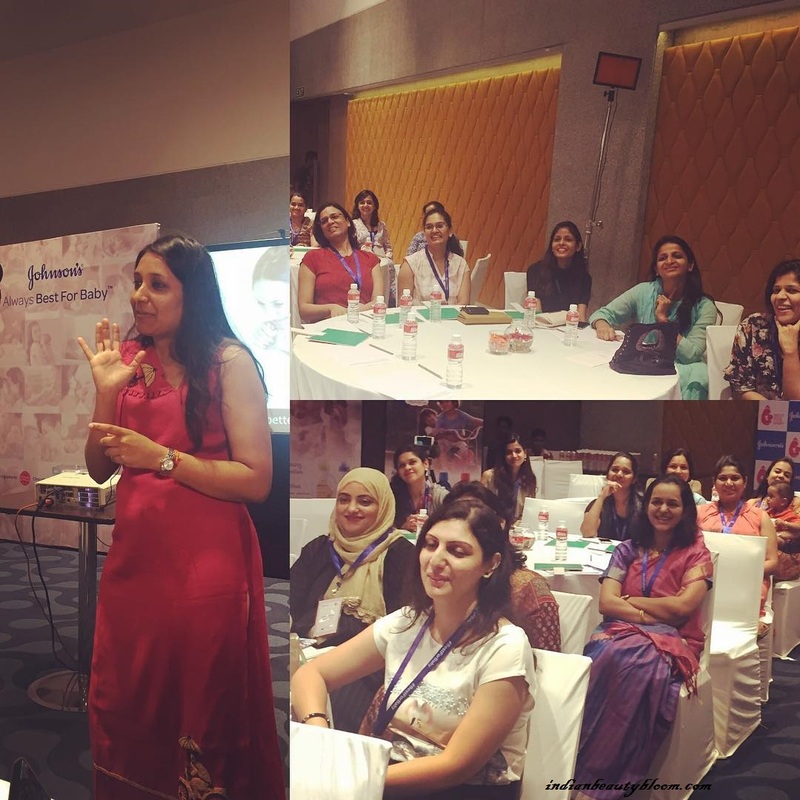 There were experts from J&J team , and we were asked to ask questions and queries about J&J products . 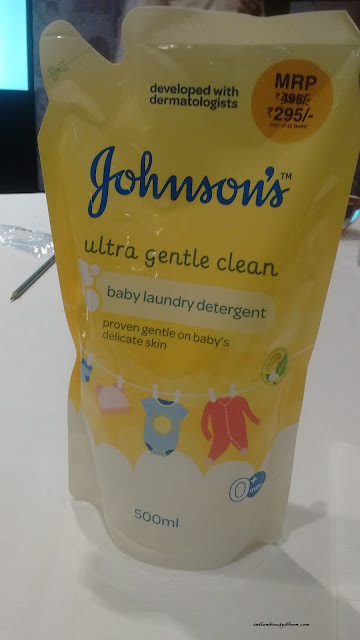 We all asked our doubts that since it’s in news that J&J products have lots of chemicals in it , so is it safe to use for small kids . They gave all answers and to a large extent our doubts were cleared . This is Deepali from J & J , answering our queries . There was some Fun Activities and Contests . Teams were made and each team had either 4 or 5 blogger’s and we were asked to name our team . We were given some tasks and the team to finish the task in least time would get more points . One of the task was to clean stains from cloth using the newly launched Liquid detergent from J&J. 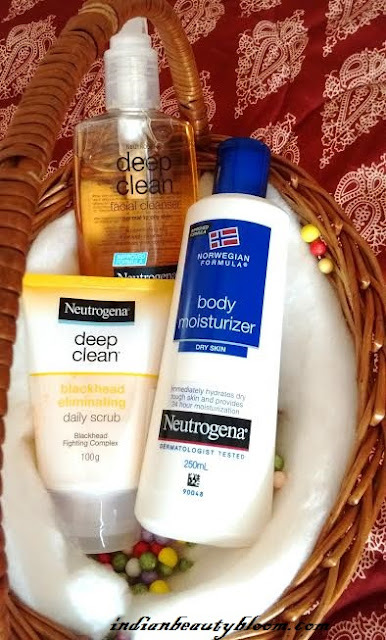 This product is yet to reach the market , but it’s effective , could remove all stains from clothes and was not harsh on hands . So an excellent baby laundry detergent . And we were given prizes for that . Our prize was a lovely basket with some skin care products . 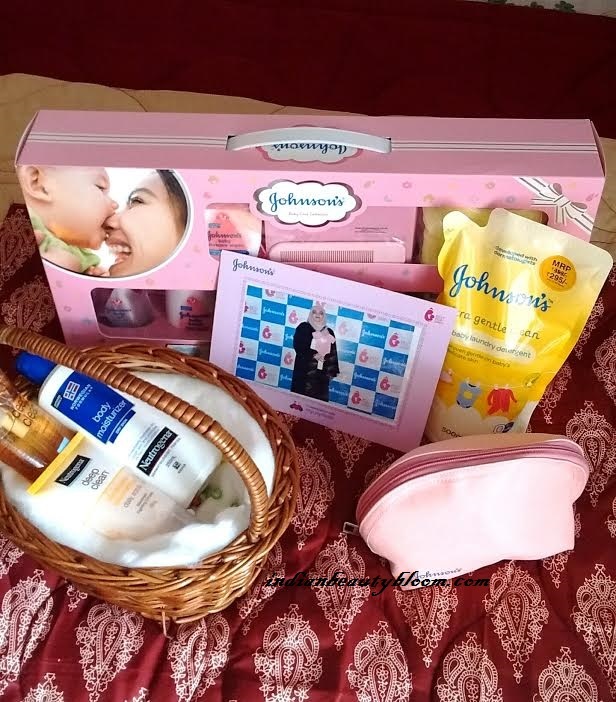 There were gift hampers for each blogger and individual photo shoot along with group ones . One can check the Instagram page of Mycity4kids & J&J to see more such pictures of Blogger’s Meet at various Indian cities . I thoroughly enjoyed each and every moment spent there . Made some new friends . 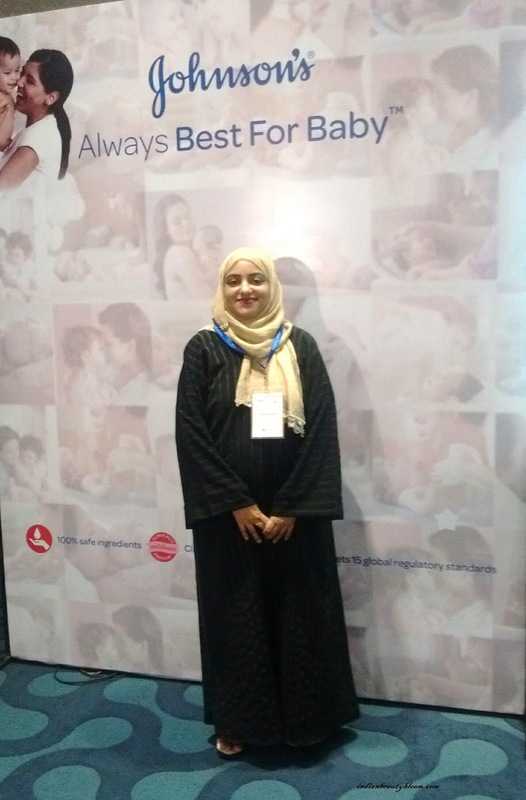 So it was a wonderful experience to be a part of such event & meet , Hope to have many more in future .